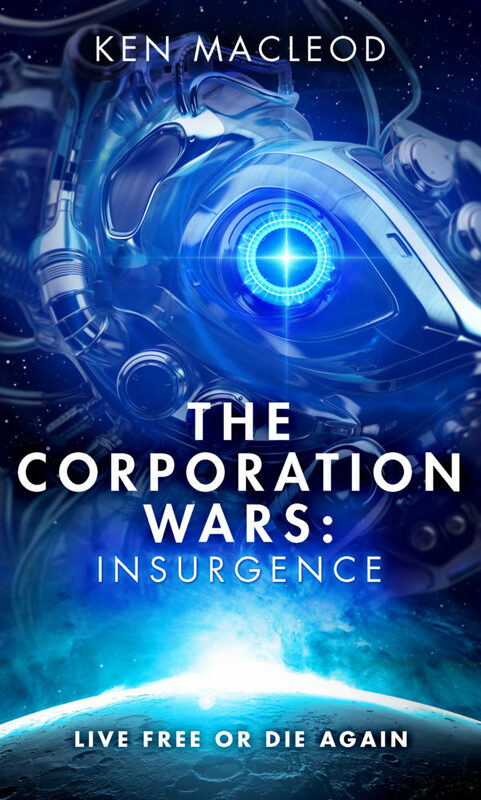 The second book of my robot-revolt-in-space trilogy, The Corporation Wars: Insurgence is now available from Orbit, Amazon UK / US, and all good booksellers including Transreal Fiction, from which you can order signed and (if you like) personalised copies. Thanks to all who've already ordered -- I had an encouragingly high stack to deal with this afternoon. The book has already received one two enthusiastic reviews. Although I've been slightly confused by the names for this trilogy, so I wasn't sure if Insurgence was the one I'd already read, or a new one, or possibly that I'd missed the middle one somehow. Nice. But how can I buy the first audiobook in this series? I'm in New Zealand and Audible (US) has Insurgence (I bought it) but they do nt sell Dissidence and all other retailers sat not for sale in your country. Love your work but this is very frustrating. Sorry about that, Unknown - I'll ask Orbit about this. Yes! The US ebook is out in Nook today, so likely same is true for Kindle/Kobo. After I finish Bourdain's The Nasty Bits, Insurgence is next.